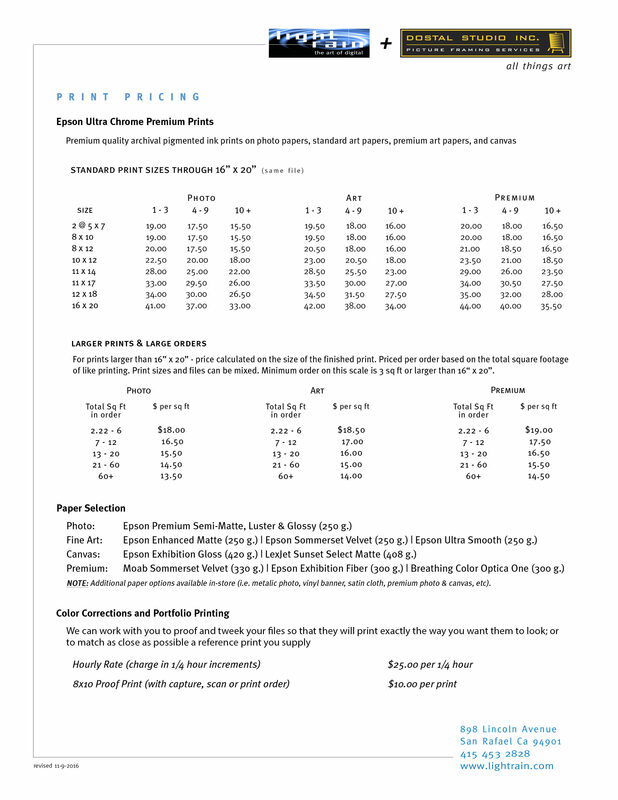 Calculate the price of prints on different papers and canveses. Click on the link below to open a Pricing Calculator. 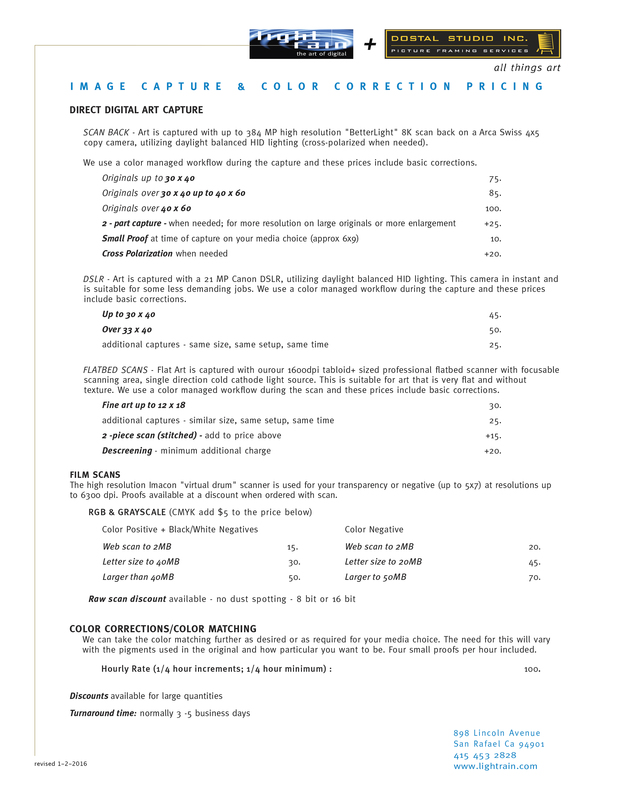 Please click on the price list below to enlarge and print the PDF sheet.